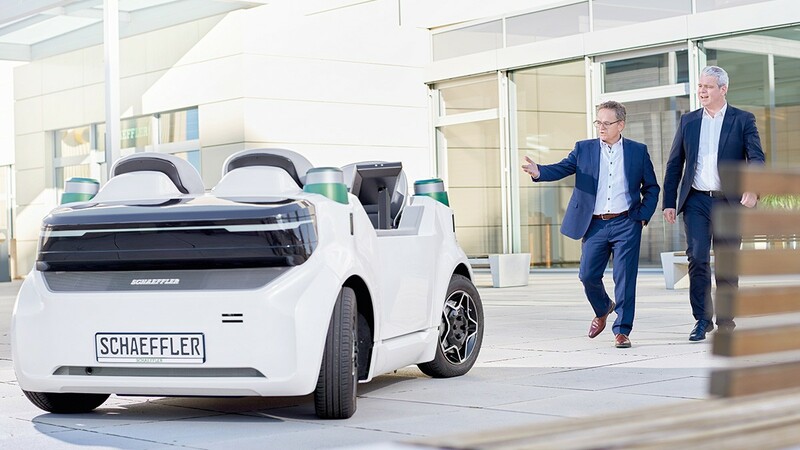 Bio-Hybrid GmbH, a company belonging to the Schaeffler Group, will present the near-production Bio-Hybrid – a new, modern form of personal urban mobility and means of transportation – at CES in Las Vegas (USA) from January 8 to 11, 2019. The variable and electrically assisted vehicles will be showcased in Las Vegas in the Cargo and Passenger versions. At the same time, the dedicated brand presentation of Schaeffler Bio-Hybrid GmbH will make its debut. A sneak peek can be obtained at www.bio-hybrid.de/en – the website to go online on January 6. The Cargo and Passenger versions share the same modular platform delivering high levels of comfort and maximum safety standards. Due to its four wheels, the concept offers exceptional driving stability. As a result of having a roof and a windshield, the vehicle can be used in any type of weather and thus in all seasons. It is hardly wider than a normal bicycle and can be operated on bicycle paths as well with zero emissions. In addition, the Bio-Hybrid only requires a third of the parking space of a small car and can be operated in most countries without a license and vehicle registration. The electric traction motor assists the operator – as in the case of a pedelec – up to a speed of 25 km/h*. The Passenger version offers a new form of personal and design-oriented urban mobility. It comfortably seats two people behind one another. The Cargo version provides a variable solution for zero-emissions hauling of goods. The vehicle to be showcased in Las Vegas is a kind of “pick-up.” The modular body makes the Bio-Hybrid a veritable quick-change artist: refrigeration vehicle, coffee shop or locked stowage compartment – anything is possible. 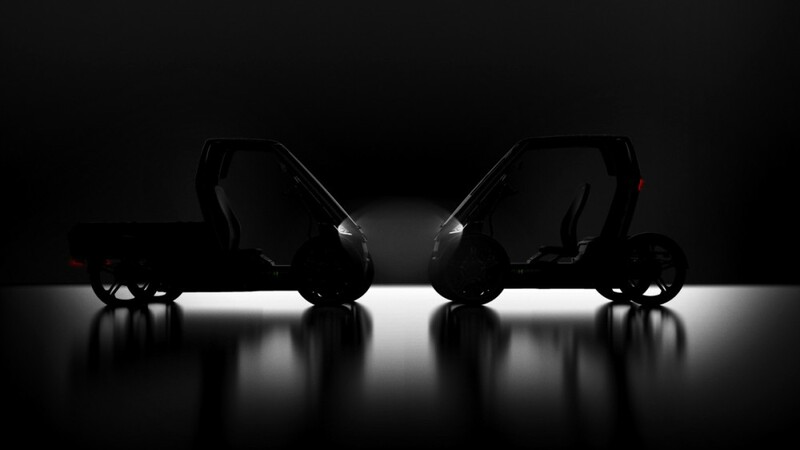 In terms of cargo volume and payload, the Cargo version is perfectly prepared to handle hauling requirements in urban areas and provides an alternative within the future mobility mix. Wi-Fi, GPS, Bluetooth and 4G make the Bio-Hybrid a full-fledged element in digital and connected cities. A smart operating concept ensures maximum riding pleasure, high safety and easy control. “Smartphones and smartwatches are integrated in the concept, so in the future, it will be possible to control extended functions and smart features via a dedicated Bio-Hybrid app and make life easier for the operator. Our vision is to launch the ‘iPhone in the field of pedelecs’ on the market,” says Prof. Tim Hosenfeldt, Senior Vice President Technology Strategy and Innovation at Schaeffler, where the Bio-Hybrid had its origin. Schaeffler Bio-Hybrid GmbH headquartered in Nuremberg and Munich is a fully owned subsidiary of the Schaeffler Group. As a pioneer in the field of electric mobility, Schaeffler presented the Bio-Hybrid product category as a vision for private transportation in urban areas as early as in 2016. This vision is now becoming reality. Schaeffler Bio-Hybrid GmbH has the mission to develop the Bio-Hybrid to production level and to launch the vehicle on the market. While operating with the flexibility of a startup, the company has access to the entire technical expertise of the Schaeffler Group.